an amazing book read by an amazing narrator. I highly recommend this book. I was really bummed out when I finished it. Everything was incredible. I seriously did not want it to end. As others have said, the narrator is astoundingly good. I've never heard a book narrated so well, so distinctly for each voice, so pitch perfect for every scene. Of course it's a great story, King being an evil-genius and all, but the narration made this books so good it's almost painful to end. Loved it. Great book and narrative was amazing. All the different voices and amazing descriptions. This is only my second audio book ever. I am usually partial to holding the book in my hands, and reading the pages. This is masterpiece come to life. I predict that, Stephen King will come to be known as the greatest storyteller of our century. Period. Steven Weber is exactly the perfect narrator for this piece. What a web of mental pictures and sensory imaginings. Brilliant. Like one reviewer quipped: "enough said". Amazing book. Can be confusing at times with how it goes back and forth in time for a non native english speaker. Great narrator. 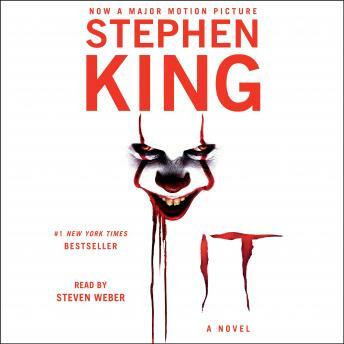 My favorite Stephen King book!! Big fan of this book. May be my favorite Stephen King so far! Suspense from beginning to end. There is one scene toward the end that I’m not a fan of, but other than that, great book. Now the narrator did a FANTASTIC job! Great at giving each character their own voice and bringing extra life into the story. All around very impressed! Will definitely listen again!